Ross Slater is a former lance corporal in the Parachute Regiment who served six years duty from 1974 to 1980, including a perilous tour of duty in Northern Ireland. Lucky to survive the IRA’s first remote-controlled car bomb blast, he eventually left the army to become a cop with Thames Valley Police. Seeking more adventure he landed a role as a security consultant to the Sultan of Brunei before striking out on his own as an independent investigator. Among his roles was as an undercover detective working at a food wholesalers reporting to the Regional Crime Squad. Slater then re-joined the police, this time with the Met in London and spent ten years, first as a uniform officer in various locations before being promoted to the Royal and Diplomatic Protection Group, providing armed protection to heads of state, including the former Chilean dictator General Augusto Pinochet. After leaving the police for a second time, Ross entered the world of corporate security services, providing expert advice to Greenpeace International. 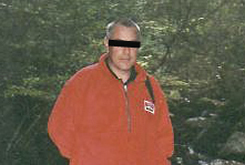 It was during this time he engaged with Special Branch and worked as a double agent, supplying them with information about Greenpeace’s activities. For the last eleven years he has provided specialist security training to a number of corporate clients and has worked as a specialist advisor to the Discovery Channel working with former CIA agent Bob Baer. In 2006 he began working for an American client in Russia and the Ukraine – services that brought him to the attention of MI5 and MI6. Slater remains an expert in counter-surveillance and counter-terrorism techniques and has been the subject of media articles and a TV documentary filmed for French television. 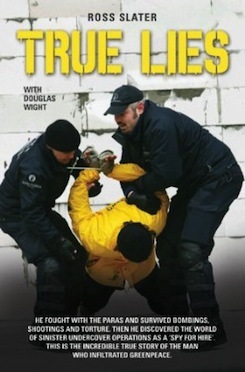 True Lies: The incredible true story of the man who infiltrated Greenpeace by Ross Slater and Douglas Wight is serialised this week in the Mirror.